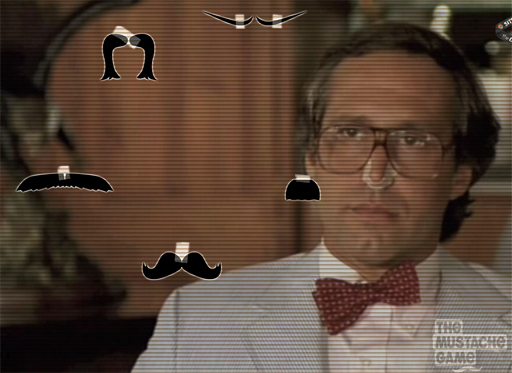 As Seen on TV: Mustaches. Mustaches and binge drinking, two great tastes that go great together. Not long ago this writer received an emergency replacement mustache from our friends at LATSFB.com. No longer will the E.R.M. lay dormant on my desk. Said mustache may now serve a non-emergency function, taped to the television, waiting to grace new faces as they slide underneath. Check out themustachegame.tv for details. They even have a friendly web-based overlay for your streaming videos. What's next? Perhaps an OpenCV library to map beards on faces in real time? If that ever happens, I hope SweetBeard gets credit.